The Central Highlands Regional Council was seeking funding to support the proposed sealing (paving) of 15km of Carnarvon Gorge Road to improve the road’s safety and flood immunity, and bolster tourism potential. 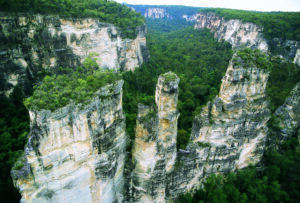 The Carnarvon Gorge Road is a Local Road of Regional Significance and is the lone access to Carnarvon Gorge, a significant natural feature and major tourist attraction. Carnarvon Gorge is one of Queensland’s premier nature-based attractions, with an estimated 65,000 visitors per annum. Supporting two major accommodation establishments, and a variety of other businesses including helicopter tours, walking tours, and sunset entertainment the Gorge is an important part of the local economy. The last 15km of the road is unsealed, with a poor alignment and narrow width. The current alignment raises a safety concern. There are four floodways including Carnarvon Creek which has a tendency to rise quickly, cause localised flooding and road closures. During the wet season, local residents have difficulties travelling to work or home due to unexpected flooding. NineSquared’s role on the project was to undertake an economic evaluation of the project to support submissions for funding. The economic evaluation consisted of an economic contribution assessment and a cost-benefit analysis. The economic contribution modelling estimated the contribution of the project on the economy based on increases in tourism expenditure and its flow on effects, while the cost-benefit analysis estimates the direct benefit of the project to road users. 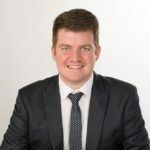 The project was successfully funded and announced by the Queensland Government in December 2015 under the “Royalties for Resource Producing Communities Fund”. Download the media statement here. For further information on our role please contact Anthony Vine. Anthony Vine – Manager. Anthony is a economist at NineSquared with a focus on transport economics, cost benefit analysis and infrastructure prioritisation. He has undertaken projects for a variety of public and private clients relating to electricity, transport, technology and the arts.